Congenital heart defects is a problem with the structure of the heart. It is present at birth, the symptoms may not appear right away.Our cardiologists diagnose congenital heart defects and heart disease using the most advanced techniques. Your child heart care start here. The body of an unborn child is too delicate, doctors have to take utmost care while treating the child. Among the organs, heart is the sole functioning and most complex to treat. Delhi Child Heart Center offers the Best Fetal Echocardiogram in the City. A cardiologist carries out Fetal Echocardiogram test to assess the condition of an unborn child heart. The test is done in the second trimester between 18 to 24 weeks. 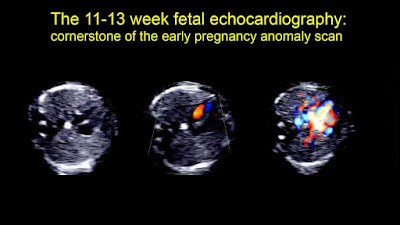 In a full fetal echo test around 15 structures, of the heart type is analyzed. A pediatric Cardiologist will at first place a probe in mother’s abdomen. This transducer probe will be moved around to receive various locations and positions of the baby’s heart. 2 D echocardiography and Doppler echocardiography are the two techniques used to get detailed information. This will be helpful in determining the health status of the fetal heart and treat before it becomes serious. Amniocentesis: This procedure is done to retrieve the amniotic fluid sample from amniotic sac. By analyzing this doctor can find out the presence of chromosomal , genetic and birth defects of the fetus. Genetic Counseling: In this doctors will give information about genetic risk factors, how one can prevent it, its consequences, treatment procedures, precautions to patients. Dr. Vikas Kohli famous cardiologist of Delhi Child Heart Center provide best pediatric cardiac treatment in Delhi. Ventricular septal defect (VSD) is a congenital heart defect where hole is noticed on the wall, separating the lower two chambers of heart. As a result the blood is flown from left to right side making the heart to work harder than normal, to meet the oxygen requirement of the body. Usually this defect occurs by birth and gets closed by its own. If the size of the VSD is large, it needs to be repaired by undergoing a surgery. Delhi Child Heart Center provides the best Ventricular Septal Defect Treatment in India. The hospital provides the services of eminent pediatric cardiologist India. For small VSD, symptoms are not appeared in the early stages of birth. In some cases VSD will be detected when the child reaches his/her adulthood. During this stage, shortness of breath , heart murmur etc. are noticed. The exact cause of VSD is not known. From various studies it is noticed that environmental and genetic factors can lead to congenital heart defects. There are chances for VSD to occur after a cardiac arrest. By auscultation, the cardiologist can detect the presence of VSD. In addition VSD can be detected before child birth by taking a fetal echocardiogram. Chest X-ray, echocardiogram, pulse oximetry, cardiac catheterization etc. are very much effective in diagnosing congenital heart defects. Catheter procedure: Here the VSD is closed by inserting thin tube into the blood vessel which is guided to the heart to repair the hole. Catheterization does not require any surgical opening. 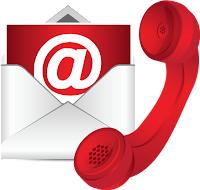 Surgical repair: Here, open heart surgery is performed under general anesthesia to close the hole. Hybrid procedure: This procedure is the combination of both surgical and catheterization techniques. In addition to the above procedures, the use of certain medications will help to increase the strength of the heart's contractions and to maintain a regular heartbeat. If your child is facing a VSD, don't wait and book your appointment today itself at Delhi Child Heart Center, one of the best child heart hospital in Delhi, which offers an affordable pediatric heart surgery Delhi. Heart disease in considered as tragic among adults, then imagine how terrific it could be in children. Advancements in medicine and technology has been a boon for pediatric cardiac patients. Delhi Child Heart Center is one of the best heart hospital in Delhi, which provides the best pediatric cardiac treatment in India. Pediatric cardiology addresses the heart conditions of unborn or newborn babies, children and teenagers. Interventional cardiology uses catheter based treatment for heart diseases. It is very much beneficial in reducing pain, scars and complexity of the treatment. Atrial Septal Defect (ASD): The wall between right and left atria is called atrial septum. In ASD a defect is noticed between the upper two chambers of heart. Ventricular Septal Defect (VSD): Here a defect is noticed in between the walls of right and left ventricle. Tetralogy of Fallot treatment (TOF): TOF is the combination of the following 4 abnormalities. 4.Thickening of right pump walls. Transposition of Great Arteries (TGA): Great arteries are the two tubes that are coming out of heart. Transposition of Great Arteries refers to the exchange of position of tubes. Angioplasty: Here a catheter is inserted into the blood vessel through an incision in wrist or leg. When the catheter reaches the target, it gets inflated and pushes plaque to the walls of artery. This is used to open arteries that have been blocked by atherosclerosis. Angioplasty is also known as percutaneous coronary intervention (PCI). Valvuloplasty: This procedure is used to repair narrow heart valves. Congenital heart defect correction: Percutaneous approaches are used to correct ASD and VSD. Percutaneous valve repair: Interventional cardiologists uses catheters to guide devices through blood vessels to repair the damaged valves. Coronary thrombectomy: This technique is used to remove blood clot from coronary arteries. Delhi Child Heart Center is one of the best child heart hospital in Delhi, providing Interventional Pediatric cardiac Treatment at an affordable cost. 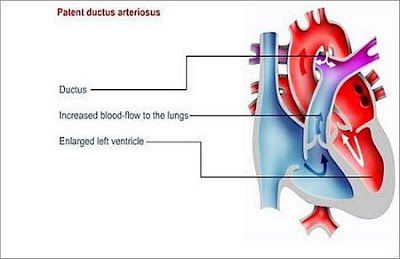 Ductus Arteriosus is a short vessel through which blood headed from the heart by means of the respiratory vein to the lungs is shunted before conception. At the point where shunt is open, it is said to be patent. Patent Ductus Arteriosus (PDA) for the most part closes at or not long after conception, and blood is allowed from that minute on to course uninhibitedly to the lungs. Delhi Child Heart Center offers efficient treatment for Patent Ductus Arteriosus Delhi at an affordable cost. Dr. Vikas Kohli is a famous Child Heart Specialist Doctor in Delhi . He is specialised in Interventional Pediatric Cardiology. His present areas of interest includes Neonatal Cardiology, Fetal Cardiology. Intrinsic heart deformities emerge from issues right on time in the heart's advancement. It can be due to the impact of genetics and environmental factors . Before conception, a vascular association (ductus arteriosus) between two noteworthy veins driving from the heart — the aorta and pneumonic course — is essential for your infant's blood circulation. The ductus arteriosus occupies blood from your child's lungs while they create and the infant gets oxygen from the mother's dissemination. Cardiac nutrition counselling for infants. 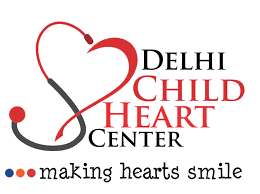 Delhi Child Heart Center promotes surgical and non-surgical heart treatments. 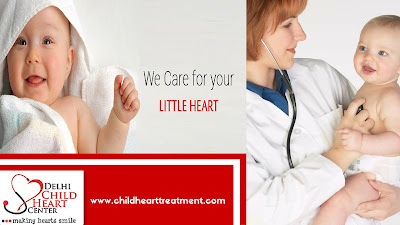 Care your child’s heart with best Child Heart Center Delhi. Heart disease is a common problem in children, one in 100 kids born with heart disease or (heart defect). The screening can help to detect the heart disease, the most common birth defect in newborns. Survival of newborn with Child heart diseases depends on how to severe the defect and when it is diagnosed, and how it is treated. About 97% of babies they are born with a non-critical congenital heart defect are expected to survive to 1 year of age. About 95% of babies born with a non-critical congenital heart defect are expected to survive to 18 years of age. About 75% of babies born with a critical congenital heart defect are expected to survive to 1 year of age. About 69% of babies born with critical congenital heart defect are expected to survive to 18 years of age. Survival and medical care for babies with critical congenital heart defect are improving. In 1950, about 20% of infants with critical congenital heart defect survived. The year of 2015, about 90% of infants with critical congenital heart defect survived. Among 100 children,1 child must be having a defective heart which is the most abnormal state of a child born with heart defect. 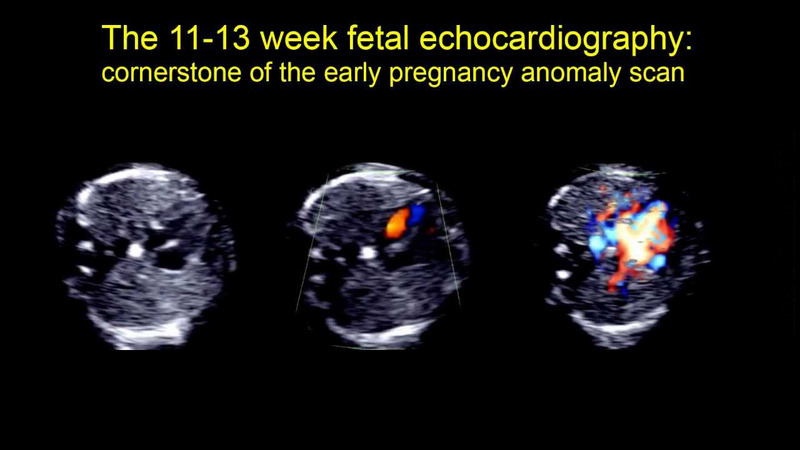 Fetal Echocardiogram test help to view the unborn child’s heart which is similar to ultrasound. This test is done when the baby is in womb and the test is done usually the second trimester (18-24 weeks) of pregnancy. The procedure is similar to that of a ultrasound. The computer receives and clear picture of baby’s heart when the person performing the test places and clear, water based gel on stomach and moves a hand held probe over the area. This probes sends out sound waves which bounces off the baby’s heart and creates a picture.This test gives more clear image of the baby’s heart than an ultrasound result. It gives a complete picture to the doctor showing the heart rhythm, blood flow through the heart and the structure. Recent advanced medicine ensures that children born with a heart defect live healthy and normal lives. Congenital heart disease is a common type of birth defect, that will affect the normal working of heart functions. The exact causes which lead to congenital heart disease are currently not known. Down’s syndrome : It is a type of genetic disorder that will affect the normal physical development of a baby. During this conditions the baby required surgical treatments or non surgical treatments like balloon angioplasty or device closure. 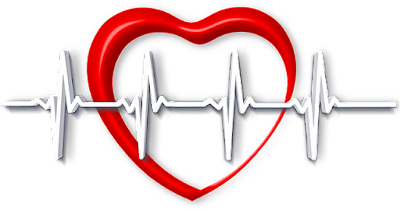 How To Monitor The Heart Problems ?